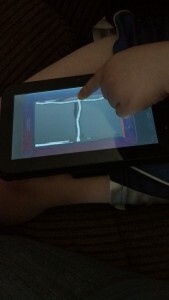 Posts tagged "Wet-Dry-Try Android App"
Teaching my son to write has to have been the most challenging part of homeschooling thus far. In the beginning he had no interest, and later he lacked patience. Even using his finger to trace over letters on paper or in sand was a battle. I’m happy to say, this is no longer the case! All thanks to Handwriting Without Tears and their Wet-Dry-Try app for Android! Handwriting Without Tears is a well known and respected company that offers a handwriting curriculum for grades PreK up to 5th grade for both homeschool and educators in brick and mortar schools. The format is full of fun, music, games, and many multi-sensory approaches to help make writing interesting and fun. One of the activities they have children do is use a slate chalkboard to write a letter or number, trace over it with a wet cloth, and then dry it with their finger. 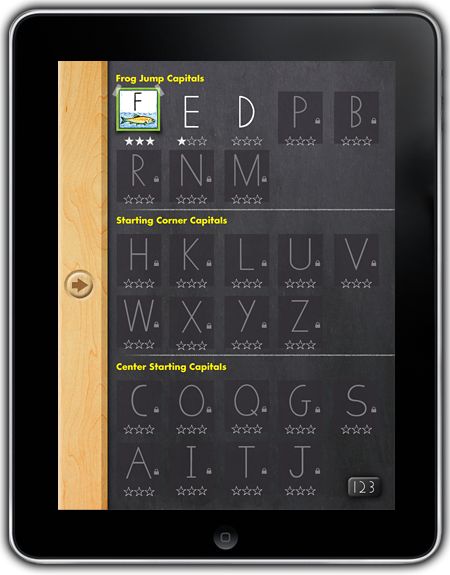 Recently they released an app that mimics these actions on a tablet (7 inches or larger) to learn how to write Capital letters and Numbers, and we were given the opportunity to review it. I really didn’t expect much of it, as I’ve tried different apps on our Android tablet to try and get Tommy’s attention in this area and they never worked. I must admit though, I was wrong. I eat crow. This app really does help! When you first open the app, you’ll need to set up a profile for your child. This takes but a moment and is really simple. You may have up to 4 profiles. So if you have more than one child you’d like to be working on this app, then you will have no problem. There is the option to turn off the background music, voice instruction, and sound effects if those are the types of things that you’d like to not have on. (I personally kept the music on so that if I was doing something else I could hear if Tommy quit working.) You can set it to be challenging or easier and to be “unlocked” or to lock at certain levels. We had our’s set for Easier and Unlocked. Now that you’re all set up, you have the option to choose from “Pick and Practice” (seen above) or “HWT’s Winning Order” (seen below) to begin. 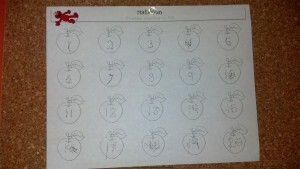 I started Tommy out with HWT’s Winning Order since he’d really had trouble learning to write. The lessons give little nicknames to moves and lines, and make use of a happy face to show you where the top left of the tablet should be. Before your child starts, the instructor writes the letter in chalk for your child. Then your child will “wet” the letter with a sponge. Once your child has completed the sponge task, they are asked to “dry” the letter. After the letter is dry, they are given the chance to write it themselves with chalk. If they make a mistake, it does have them start over on the exact task they are on, and after a few failed attempts will show them how to do it again. Once they have completed an entire “round”, they are given positive recognition and receive a star. Tommy loves seeing how many stars he can get. Well, let me tell you honestly. He was quite frustrated at times in the beginning. It’s a tablet, so sometimes if your touch isn’t just write, it will say your finger is not on the board when it is, or will get “caught” if your sensitivity isn’t set right in the settings. But once he got the hang of how to handle it and I had all the kinks with the settings on the tablet figured out, he took off. I had him use it every school day and sometimes on weekends for about 15-20 minutes at a time. He would, as most any kid would, occasionally complain about having to sit and write numbers instead of doing some fun learning game. 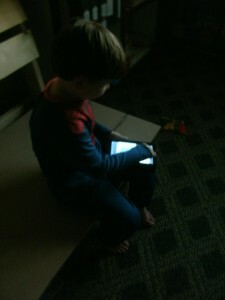 But other days he saw it as a game and tried to see how many stars he could get on each letter or number. After the first few days, I gave him free reign to decide what letters or numbers he was going to practice on… and this is where it gets amazing. 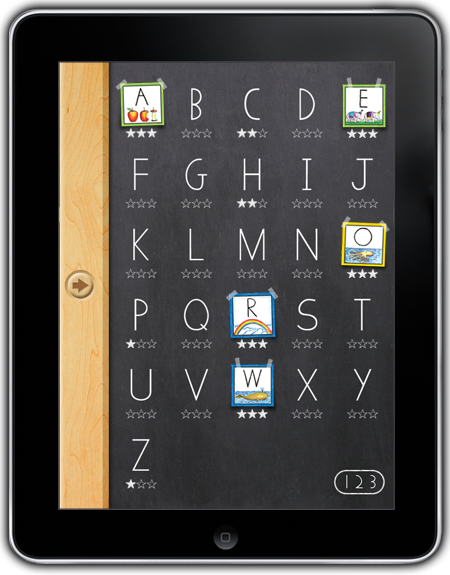 The cost of the app is $4.99, about the same you would spend on a slate board and chalk. 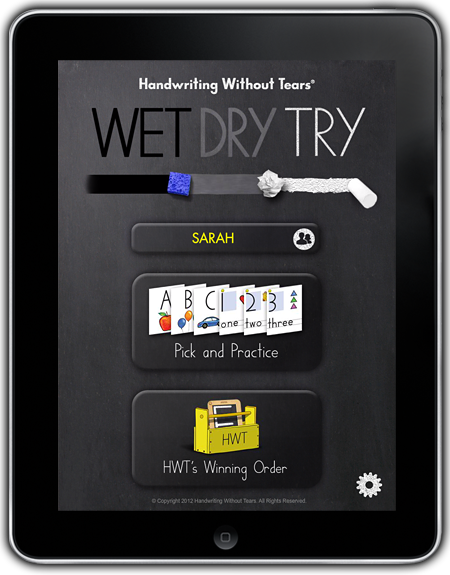 Would you like to see more reviews by others on not only the Wet-Dry-Try app, but also other Handwriting Without Tears products? Click here to find more reviews from the Schoolhouse Review Crew!